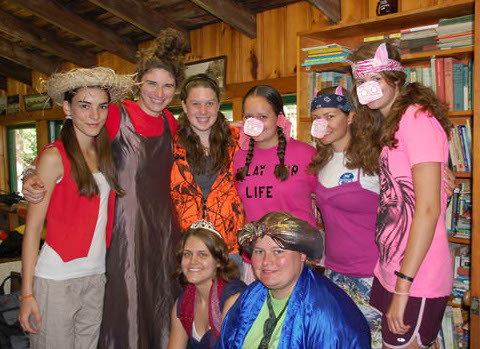 Camp Runoia is an authentic, down to earth, caring sleepaway camp. Camp counselor jobs are summer jobs that change lives! Camp counselor jobs are summer jobs that change lives! Work at Camp Runoia and increase your skill set while helping others. 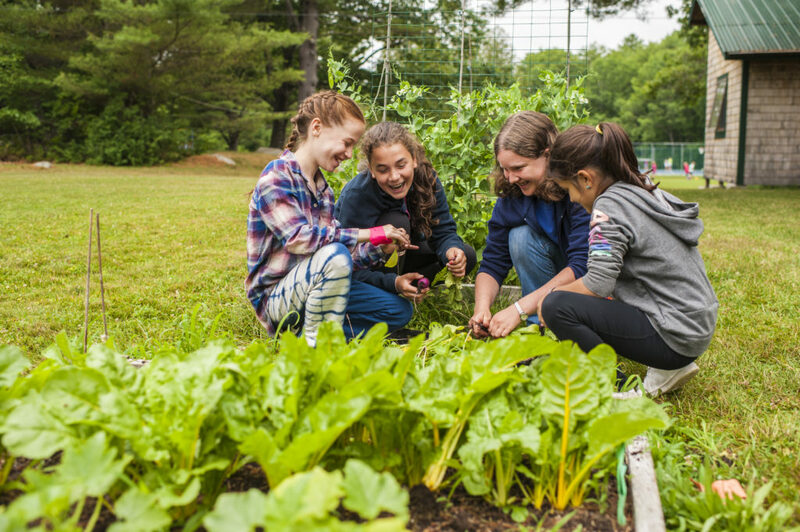 Out of school time is the perfect time for teachers and school support staff (nurses, guidance counselors, social workers) to work a job at summer camp. Learn more about the jobs offered at Camp Runoia on this page. Click each job for a full description. Work hard, play hard, enjoy time in Maine, make a difference in the lives of children, make life long friends with other adults. Work by the side of Great Pond, the largest of the Belgrade Lakes. Are you a lifeguard? You’ll have the chance to work in camp and get into Maine for great day trips to the beach and other destinations. Are you a team player? Love to support others? Do you wake up and say, “what amazing things will happen today?”, then this job is for you! Hiring for the upcoming season starts November 1st. The Adventure Challenge Course staff work with girls of all ages, taking them through various elements on our high and low ropes course. We also run a very popular climbing program on our new tower. 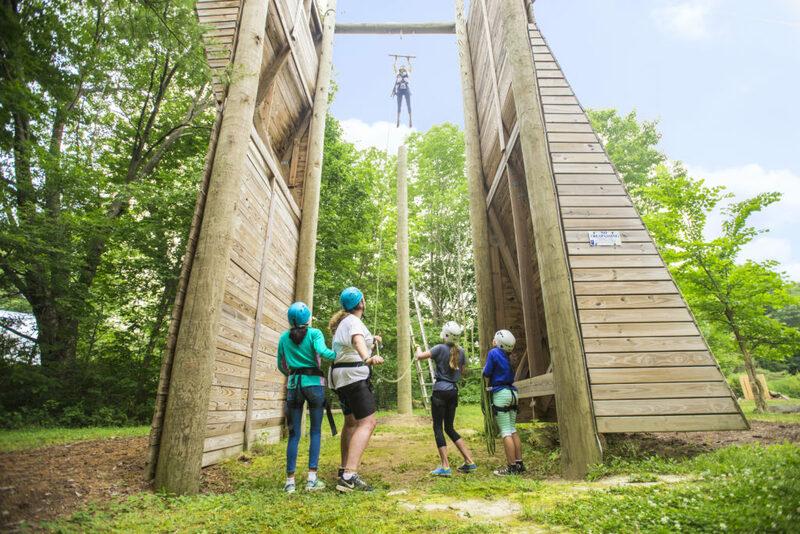 Written certification or documentation of challenge course experience and/or training is required, and group processing and facilitating skills are necessary along with the technical skills needed to safely run the course. Assistants should have good personal experience and a willingness to learn new skills and facilitation methods. All Adventure Challenge staff must attend an in house orientation and training before staff orientation. Do you have personal experience in archery? Are you 19+ and interested in passing your skills on to girls of all ages and abilities? 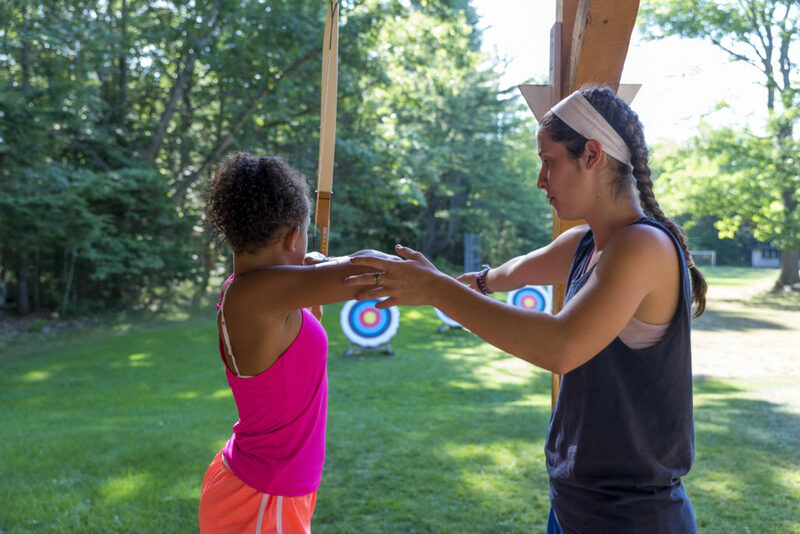 Archery is a popular program at Camp and the instructor should be willing to teach full days 5 days a week. We follow and awards based curriculum and girls enjoy passing levels and developing their form. Instructor training is available for the right candidate. 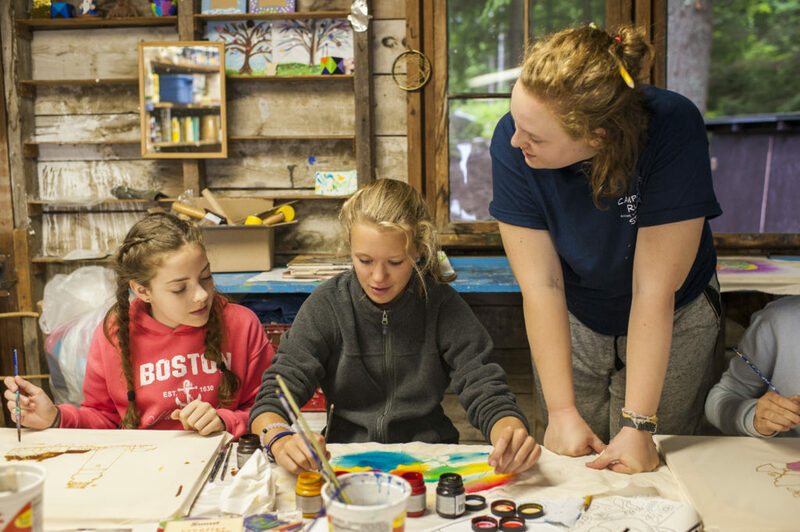 Our Arts and crafts program is located right at the lake in a beautiful setting, ideal to get the creative juices flowing. The Head of Activity must be a creative and dynamic, well organized person who can manage all aspects of the program and enjoy teaching girls ages 8-15 and of all abilities. Responsibilities also include planning projects and ordering supplies within budget. Experience with varied craft and art projects is essential. A competent weaver heads our basket-weaving program. 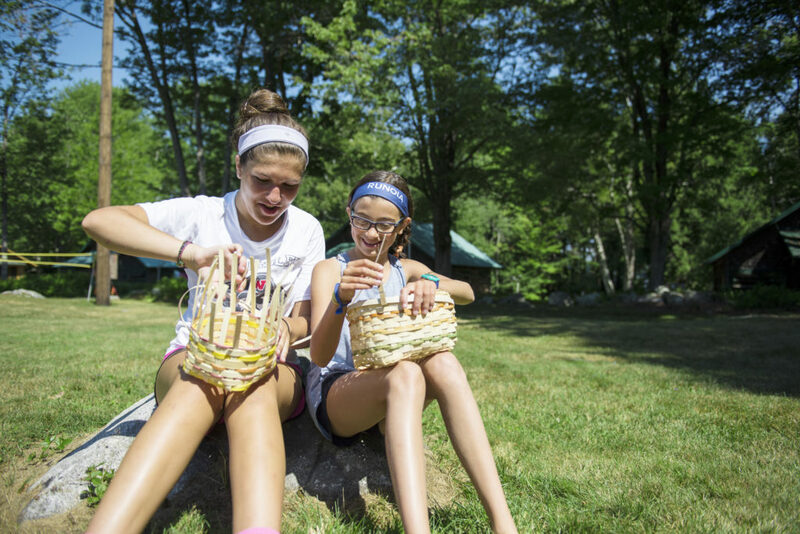 The basket making program is very popular and girls work on basic and more complex designs in an outdoor, covered location. Responsibilities also include ordering and managing supplies. We run an extensive in-camp outdoor living skills program known as Camp Craft. This program supports our active trip program. Camp Runoia girls enjoy and value learning skills to safely enjoy the natural environment around them. Classes have an emphasis on Leave No Trace (LNT) and are offered for all ages and skill levels. The Camp Craft program includes everything from basic fire building and stove cooking to star gazing and tree and plant identification. Opportunities abound for our Maine state sponsored certificate programs including the Junior Maine Guide Program. Knowledge of LNT, basic camping equipment, techniques, map and compass skills along with a love of the outdoors and nature are great attributes for our Camp Craft staff applicants. We need an enthusiastic canoeing instructor with experience in lake paddling, knowledge of strokes and rescue techniques. We encourage staff to teach girls skills and an appreciation of an activity they can do for the rest of their lives. Canoeing classes also help prepare girls for extended overnight canoe trips and testing for outdoors living skills certification programs. An enthusiastic and creative thespian is needed to run our very popular drama program. You should be able to coach girls in skits, improvisation, theatre games, plays, monologues etc. We run a low-tech program with a lot of ‘dressing up’. Campers love to write their own material and present it weekly to the rest of camp. There is also potential for simple musicals or larger scale productions. 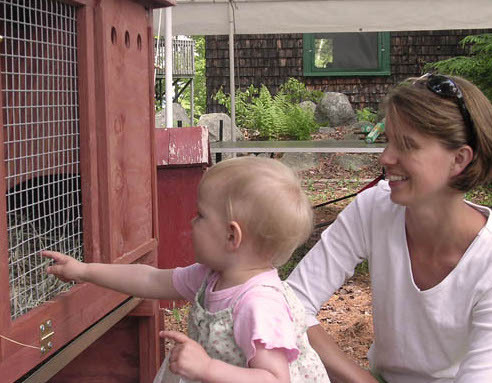 The farm and garden counselor is responsible for teaching the fundamentals of small animal care and organic gardening. Developing curriculum that will encourage girls to understand the principles of sustainable agriculture and eating local! You should have experience with goat and chicken care as well as knowledge of produce growing. Farm and Garden is only offered part time therefore the ability to assist in other program areas is essential. We are looking for a qualified Head of Waterfront who has a passion for waterfront activities. The Head of the Waterfront will oversee and guide the workings of our entire waterfront which encompasses swimming, sailing, canoeing, waterskiing and windsurfing. Applicants should be at least 21 + years old, enthusiastic about activities on the waterfront and well organized and self motivated to manage all aspects of each program. Previous leadership experience is an asset as are water safety certifications or documented experience in running waterfront activities. Responsibilities include overall management of each area of the waterfront, guiding the heads of a all waterfront activities, overall safety and in -service training for each area. 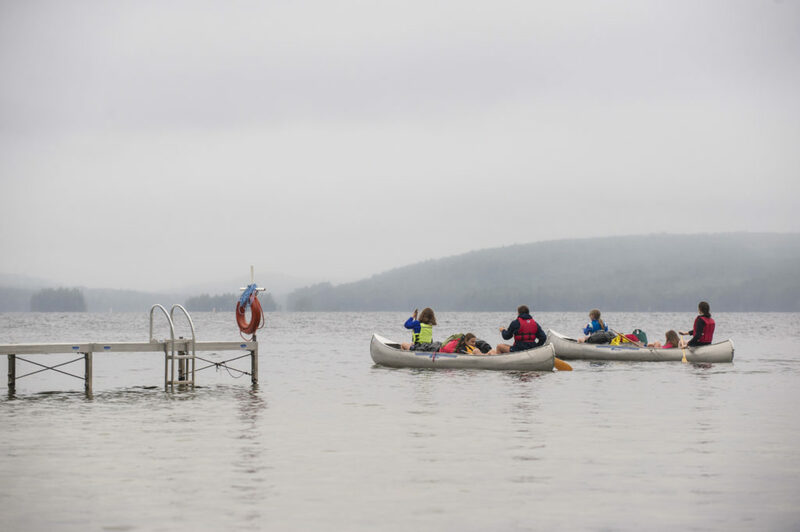 Camp Runoia sits on the gorgeous shores of Great Pond – if you are interested in sharing your love of the water with other staff and campers and you have the qualifications listed above – be in touch! Kitchen workers must have basic experience in food handling and will be trained on the job from our experienced Kitchen Supervisor. Shifts 6 days a week work well for local staff that have reliable transportation. Introductory lacrosse to LAX passionate athletes enjoy our practice area and scrimmage field. Counselors versed in lacrosse teach technique and skills. 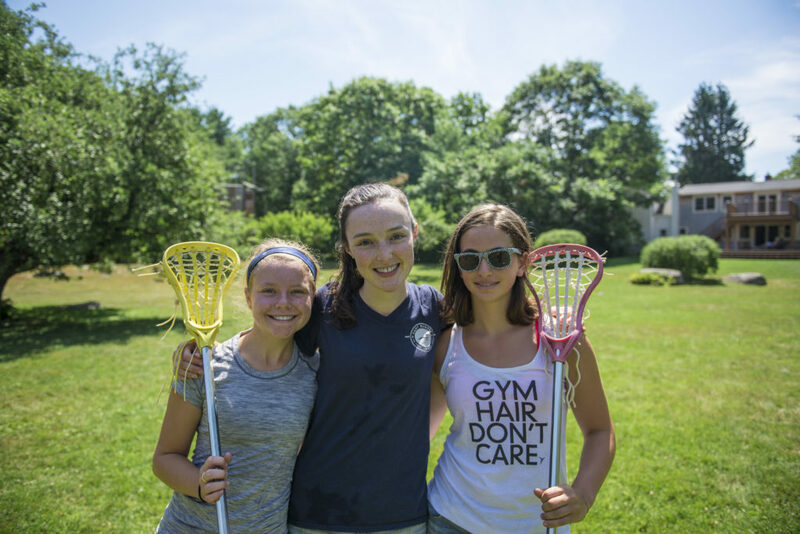 Bring your own equipment if you have it – campers wear protective eye and mouth wear when playing with lacrosse balls. Nanny positions are open for adults with experience in child care from previous nanny employment or extensive babysitting jobs. This program typically involves caring for staff children who are not old enough to participate in our regular program – often 2-6 year olds are in the spectrum of children to nanny for at our camp. Are you at home in the Darkroom? Black and white photography is a popular program available to girls of all ages. Staff should have good knowledge of 35mm processing and developing. Classes can also include pinhole photography, pictograms, occasional digital photo sessions, frame making and other related topics. Are you at home in the Studio? Pottery is an exciting program available to girls of all ages and abilities. The Head of Activity must be a creative and dynamic, well organized person who can manage all aspects of the program. Responsibilities also include planning projects and ordering supplies within budget. Staff should have good knowledge of basic to more advanced projects, kiln firing both bisque and glaze, and electric wheel throwing of pots. Our riding instructors are responsible for teaching the fundamentals of English riding and horse care: how to mount, dismount, saddle, bridle, position hands and feet, seat and rein, along with etiquette and safety practices around horses. 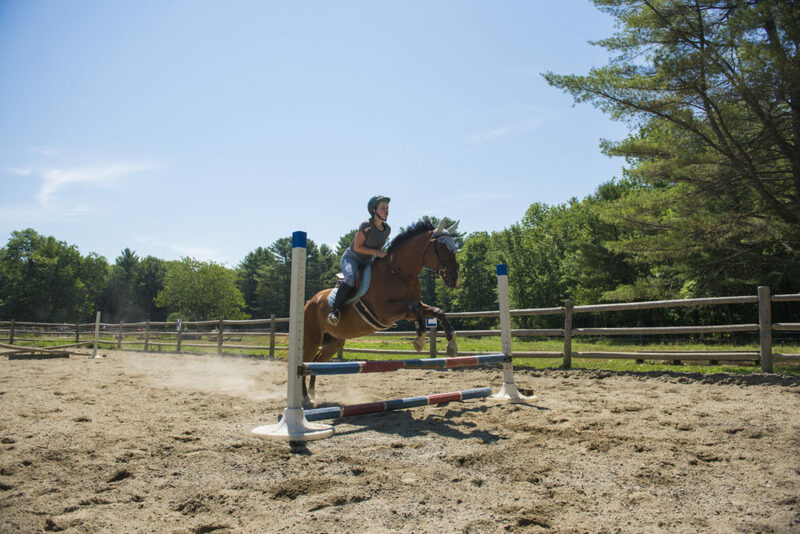 They also teach jumping classes to our more experienced riders. The ideal Head of Activity candidates are aged 21+, enthusiastic and experienced riders with documented experience in teaching, barn management and English riding. You will be responsible for leading our popular riding program for girls of all abilities and managing the care of the barn with 6 or 7 horses. Are you a keen target sports enthusiast with personal experience in riflery as a sport? We need a 21+ responsible and organized person to lead our riflery program. 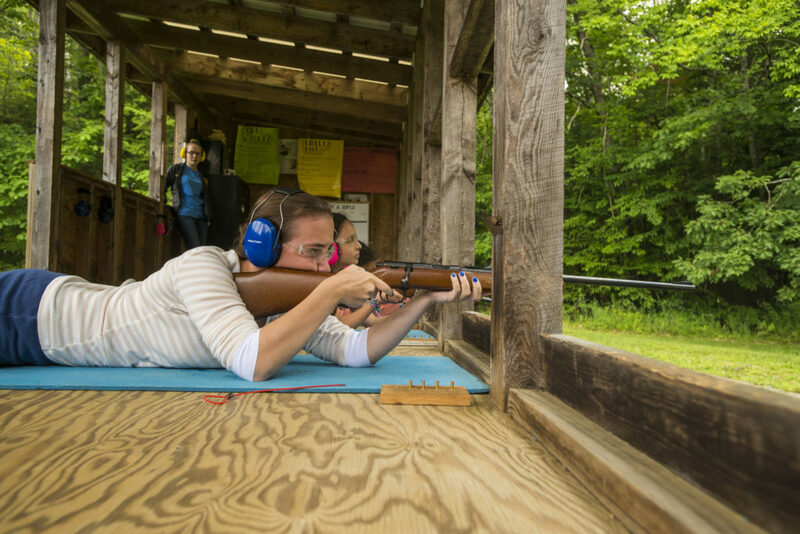 The purpose of rifle instruction is to help campers acquire skill and enjoyment in the art of safe target shooting. We use .22 caliber rifles and follow the National Rifle Association skills recognition program. Actual instruction includes proper sighting, teaching of the four firing positions, proper form, scoring targets, and the care of rifles and equipment. Instructor training from Civilian Marksmanship may be available for the right candidate. 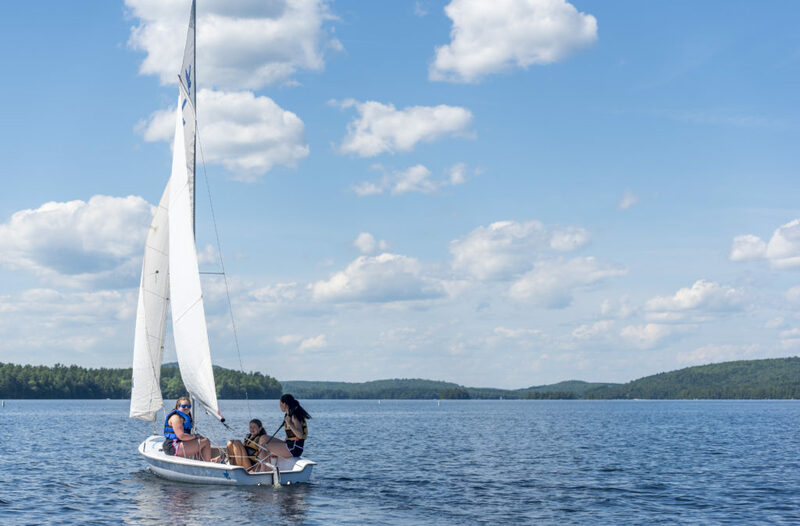 Sailing is one of the most popular programs at camp and is staffed by an experienced crew of safety conscious staff. To head the area we prefer a 21 +, enthusiastic sailor with documented experience and teaching skills. They must be well organized and self motivated to manage all aspects of the program. Responsibilities include lesson planning, equipment set up and maintenance, small powerboat operations and staff management. We sail JY 15′s and American Day Sailors. Assistant sailing staff should have good sailing skills and a desire to teach. Lifeguard training is desired and may be provided for the right candidates. The soccer counselor has good personal skills and ideally some coaching experience. Responsibilities also include refereeing games and organizing teams. Soccer is only offered part time therefore the ability to assist in other program areas is essential. Stained Glass project work is reserved for our oldest girls in Camp. Girls enjoy working independently on projects in a small class setting. Ordering supplies and maintaining equipment are responsibilities of the program staff. This program does not run full time so the staff person should also have the ability to assist in other program areas. Teaching swimming skills to campers has always been an important focus of the Runoia program. You get to have four lessons a week with certified American Red Cross Water Safety Instructors. Do you want expert advice on how to pump up your swim skills? Do you swim on a swim team and want to excel? Do you want to learn the basics of swimming and being safe in the water? Are you an expert swimmer and want to swim for endurance? You can work on these skills at camp in an encouraging, fun atmosphere. 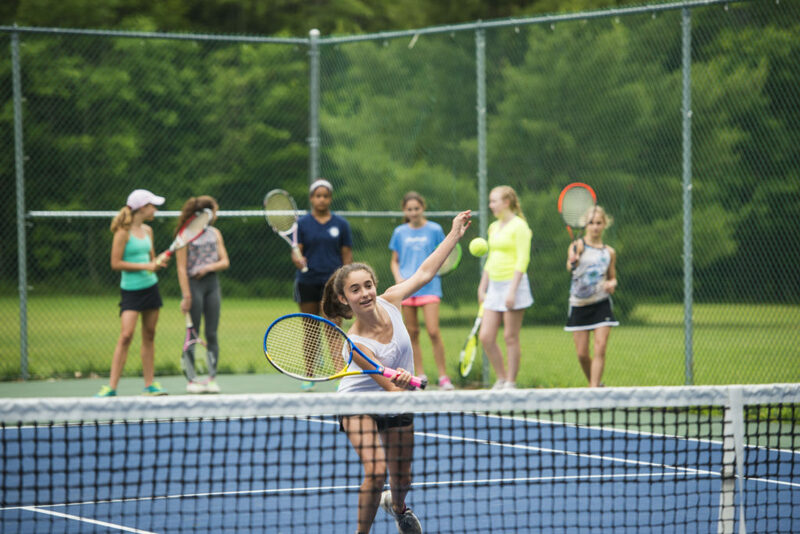 Do you love playing tennis and want to pass on your skills to campers of all ages and abilities? You must be enthusiastic about the sport and able to motivate others – teaching or coaching experience is desired. Our all weather courts are new in 2014 and tennis and basketballs are popular free time activities. The Head of Activity has the option of organizing and running a tennis ladder and other tournaments for campers or for campers and staff. Our Trip Leaders are aged 21+ with strong canoeing and or hiking skills and Leave No Trace (LNT) camping experience. Trip leaders are responsible for meal planning and food pack out as well as trip itineraries, equipment organization and basic maintenance. Lifeguard Training and Trip Leader Certification provided. Overnight camping, with an emphasis on LNT, is a fundamental part of our camp program. All girls are encouraged to participate in at least one trip of their choice. Our younger girls take one-night trips in the local area. 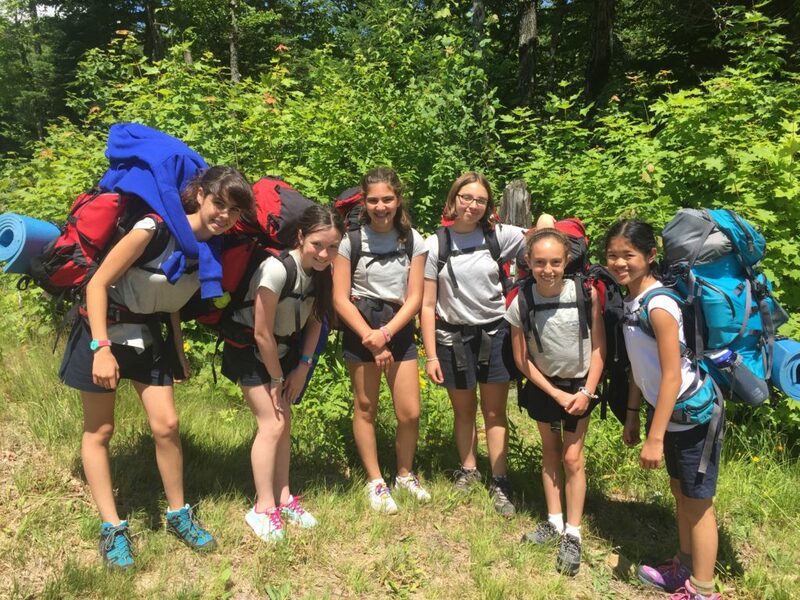 Our older campers are found venturing farther afield for a more extended experience. 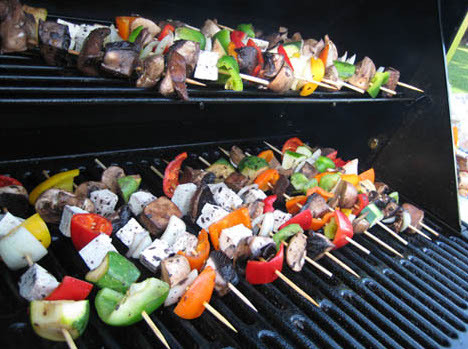 Our program goals include helping girls develop outdoor living skills including campsite set up, cooking and clean up. We also encourage an appreciation for the outdoors and natural environment. On the 20 foot “Osprey” Four Winns motor boat, you will learn the basics of water skiing and if you are at camp for enough time, you can practice dropping a ski to slalom or even get up on one ski. All campers at camp have a chance to take a tubing ride during their session. We are looking for an enthusiastic windsurfing instructor to lead our lake-based program for girls of all ages and abilities. Good personal experience and technical knowledge is essential. Instructor training and or Lifeguard training may be available for the right candidate. Interested in working at Runoia?